Enthusiasm for private equity as an asset class continues to rise in a time of opportunity for fund managers - Prequin data shows the number of private equity funds in the market continued to grow in Q3 2017, with a 10 percent rise in the number of funds raising capital since the start of the year. And this enthusiasm can be easily explained. 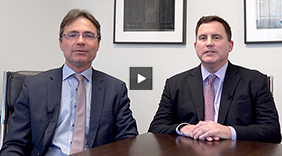 The macroeconomic environment continues to be characterised by volatility and a paucity of yield when it comes to more traditional asset classes. Not only does private equity allow institutional investors to invest in 'real' assets that they can see and understand, it also clearly delivers better returns than other asset classes over the long term. It offers pension funds an attractive alternative at a time when they are under pressure to generate increased returns for members. However, the good news comes alongside a growing challenge for the industry in terms of how fund managers (GPs) communicate with their investors (LPs). LPs' lives are becoming more complex for a host of reasons as they face increased demands from their own investors and members, as well as - of course - regulators. Post-2008, we live in an era where transparency is the watchword: everyone wants more data, more granular information, and to know precisely what's going on. Alongside this, regulatory transparency has exposed issues relating to fees and expenses charged by PE funds, with the old '2 and 20' model coming under increasing attack, putting investors "on notice" when it comes to securing value for their allocations. This means GPs have to go the extra mile in order to demonstrate bang for buck and secure big ticket investments. Ultimately, the pressure to better manage their asset allocations leaves LPs needing a deeper understanding of valuations, and the reasoning behind the multiples of each investment. Traditional reporting wherein GPs send quarterly updates on the value of LPs' investments is no longer enough. Investors need far more granular detail on the workings of the fund, which companies are faring well and which aren't - not just one simple figure. As investors become increasingly demanding in terms of their information needs, Augentius' recent private equity survey reveals that to a large extent the needs of LPs are being met - almost half (47 percent) of investors generally felt their managers are providing all the needed information. However, more work is needed. Almost one-fifth of fund managers are still not providing their investors with the information they require. In total, 47 percent of global managers were considered "up to speed" with investor demands, which means LPs did not need to make special information requests. And just over one-third provide more information, after being asked. This means additional work is still being created for LPs, and what is surprising and somewhat concerning is that nearly one in five investors ask for additional information but never receive it. The survey also showed there is a regional divide on how managers intend to bridge this information gap. American and European managers are eyeing technology as a solution, while the results show their Asian peers plan to increase resources to address the issue. So not only are GPs moving towards providing more information, but LPs are having to develop their own operating models to absorb and effectively use the data. But this is never easy. A key issue here is formatting. On the one hand, GPs often present data in emails or PDF documents which provide little value to data-hungry LPs. On the other, some LPs circulate their own files for completion by the GP, which allow for automated mapping into LP systems, but there is little consistency, and GPs are reluctant to go down this route given the time and effort involved to complete. With the globe's digital revolution continuing at speed, cybersecurity and the question of whether investor communications are secure are becoming ever-increasing concerns to both the industry and regulators alike. With the advent of advanced and secure investor portals, some managers have begun to transition away from this relatively unsecure approach of using emails and PDFs. However, as Augentius' private equity industry survey revealed, this transition is still very much underway. The results highlighted the need for more GPs to move towards more secure communication methods. Only 35 percent of investors currently receive information via investor portals, but 42 percent would prefer this format. This suggests investors are increasingly aware of the risks involved in older methods and are starting to expect more. Again, there were regional differences in communications trends, with more fund managers in the Americas already reporting via a portal. Just under half, 43 percent, do so compared with 36 per cent in Europe and 22 percent in Asia. Fund managers, who aren't already, should consider using more secure portals, especially when communicating on issues such as drawdown payments. The rise of cybercrime means the world is becoming a more dangerous place every day - so it is imperative that everyone has the right protections in place, either in their own systems or via third parties. Given the various restraints on costs and resources, GPs are continuing to look to third party providers to provide both the technology and resources to meet the ever-increasing communication demands of their LPs. Plugged in as they are to a wealth of client and portfolio data, coupled with a preoccupation with detail, fund administrators are well-placed and have the right mentality to collect the data required, and provide the detailed analysis required by LPs. Output can be provided to the depth and frequency demanded - and delivered in a secure and efficient manner. If the past year has taught us anything, it's that market change can be unexpected and abrupt. A lot will depend on how newly emergent political and macroeconomic tensions end up playing out - the final details of the Brexit settlement, in particular, could end up redrawing the European regulatory map. But by embracing new technology and communication methods, private equity firms can improve investor relationships, putting themselves on good footing to weather any storms ahead, and gain that crucial edge in an increasingly competitive and unpredictable environment. This article was published in Opalesque's Private Equity Strategies our monthly research update on the global private equity landscape including all sectors and market caps. LAST WEEK: We suggested selling longs between 2,900 and 2,960 and actually shorting between 2,930 and 2,960. Stops were suggested on shorts on a close above 2,970 and the target was given at 2,750 – 2,800. 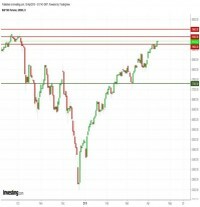 UPDATE: S&P futures managed to close above the first of the three possible resistance levels we put forth here last week. Now, we will be watching for a test of 2,930 to start re-trying shorts. We will honor stops on a close above 2,970 and the downside target will be 2,800 for starters. No new longs in S&P futures at this point as we are way overdue for a pullback.